WE'RE USING OUR FLOWERS FOR GOOD. 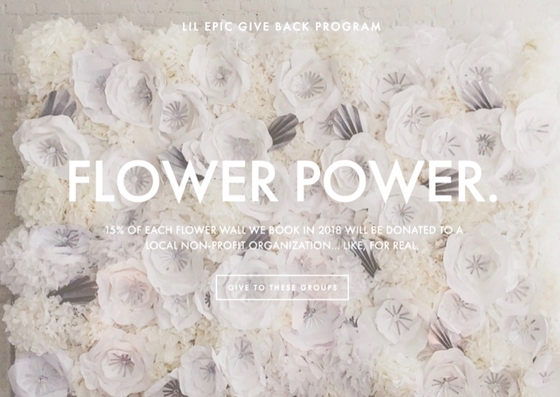 15% OF EVERY FLOWER WALL BOOKED GOES TO A LOCAL CHARITY. YOU CAN CUSTOMIZE THE STYLE, SIZE, & COLOR TO MAKE YOUR FLOWER WALL YOUR OWN. PERFECT FOR PHOTO BACKDROPS, CEREMONIES, & HEAD TABLES.